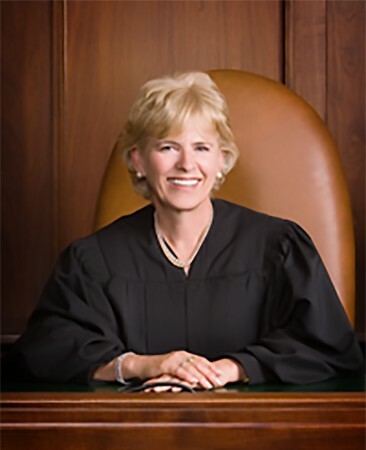 Marilyn S. Kite of Jackson, Wyoming was the first woman to serve on the Wyoming Supreme Court and as its chief justice. Appointed by Republic Governor Jim Geringer, she was sworn into office in to become the first woman to serve on the Wyoming Supreme Court in June 2000 and the chief justice in July 2010. She retired in 2015. Kite received her B.A. from the University of Wyoming in 1970 and her J.D. from the University of Wyoming Law School in 1974. She served as senior assistant attorney general for the State of Wyoming from 1974-1978. Kite entered into private practice with the law firm of Holland and Hart in 1970 and was a partner in the Jackson office until her appointment to the Supreme Court. Learn more about Chief Justice Marilyn Kite.